Co-design an ACT waste-to-energy policy to outline the Territory’s position on energy recovery & provide a framework for assessing future waste-to-energy proposals. Thank you to everyone who provided feedback on the development of a waste-to-energy policy for the ACT. Waste-to-energy is a process where energy and resources are retrieved from waste through a range of technologies including burning through to advanced forms of composting, resulting in heat, electricity or fuel. 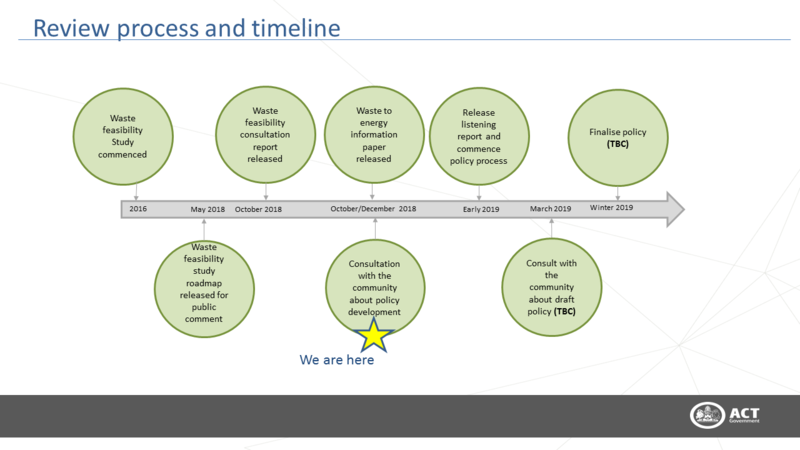 The development of a waste-to-energy policy for the ACT was one of 18 recommendations of the Waste Feasibility Study roadmap released in May 2018. We sought feedback from the wider community to contribute to a waste-to-energy policy for the ACT. Canberra’s population is growing and as the population increases so too will the waste we generate. Above all else, we need to continue to reduce, reuse and recycle, but we also need to consider how we approach the extraction of valuable resources from waste that would otherwise end up in landfill. 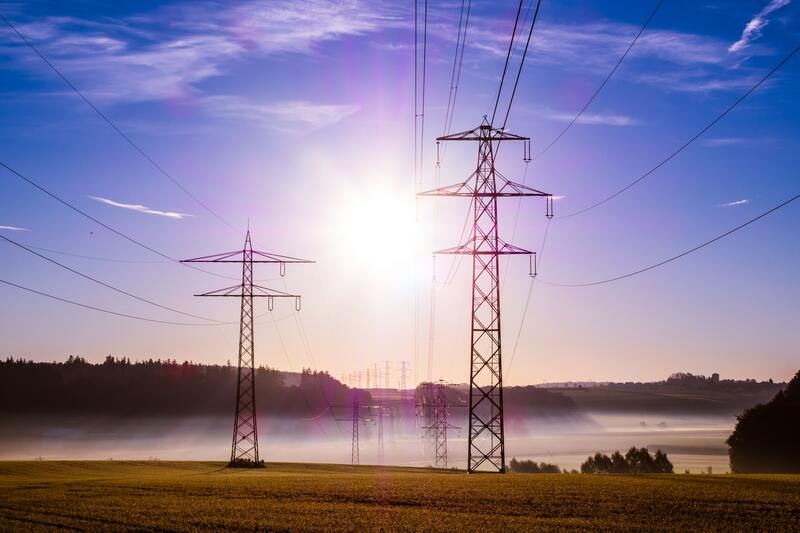 A clear policy on waste-to-energy, similar to other jurisdictions in Australia including Victoria, New South Wales and Western Australia, will provide certainty for industry and residents about whether waste-to-energy infrastructure and technology will be a good fit for the ACT and what won’t be supported. In addition to certainty, by having the right policy in place we can protect our environment and grow our economy. Your views will contribute to a waste-to-energy policy for the ACT. Incineration is the direct burning of waste at high temperature in combustion chambers. This can be used to generate electricity and heat. Gasification is the heating of waste with controlled amounts of oxygen which results in a chemical reaction that creates a gas. The gas can then be used to generate electricity. Pyrolysis is the heating, but not burning, of waste to form combustible gases and liquids which can be used to generate electricity. Solid residue is also produced which can be used as soil additive. Refuse derived fuel, including Processed Engineered Fuel (PEF), is the processing of combustible components of the waste stream by shredding and squashing. The result is a solid fuel mix which can be burnt, or transported and burnt elsewhere. For example, the fuel mix could be transported to another jurisdiction and replace existing fossil fuels, such as those being used in the cement making process. Landfill gas capture is the process of capturing methane leakage from landfill and using this to generate energy. Anaerobic digestion is a form of advanced composting. It uses the organic component of the waste stream to form gases which can be used to generate electricity. This is a more controlled form of landfill gas capture.